Whether you are on your first Harley-Davidson® motorcycle or you have been a part of our family for years, you have already taken the first step as a motorcycle enthusiast. Huntington Beach Harley-Davidson® is here to provide you with all the genuine Harley-Davidson parts and accessories available on the market to ensure quality and reliability you can trust. With decades of experience in the motorcycle industry, our friendly and knowledgeable parts staff fully understand the importance of a quality product, not only keeping safety in mind but peak performance and style as well. Our Parts and accessory department staff are here to help you transform your machine into a beautiful piece of art driven from your own personality and ideas. All Genuine Harley-Davidson® parts and accessories come with a limited factory warranty that gives us peace of mind that we can pass onto you, our family. As another value to you, we offer an exclusive Rider Rewards Program that practically pays you to shop here! 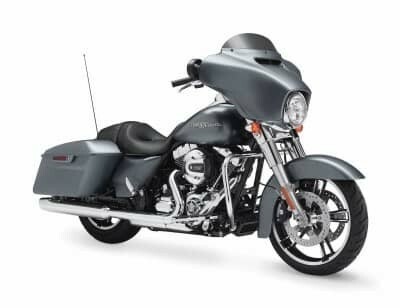 If you would like one of our Certified Harley-Davidson® Master Technicians to install your accessories, then we encourage you to make an appointment with our one-of-a-kind Service Department today!